Blair Peach funeral Southall west London 1979. 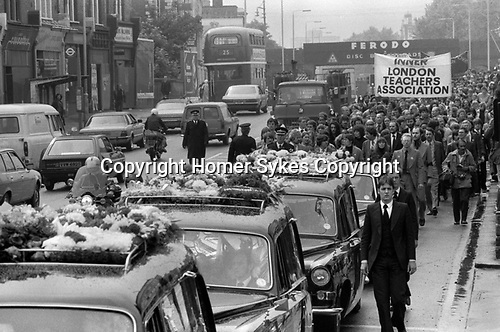 The funeral cortege makes its way along through Southall on route to the cemetery. 10,000 took part. Blair Peach was an active member of both the anti Nazi League and the Inner London Teachers Association.